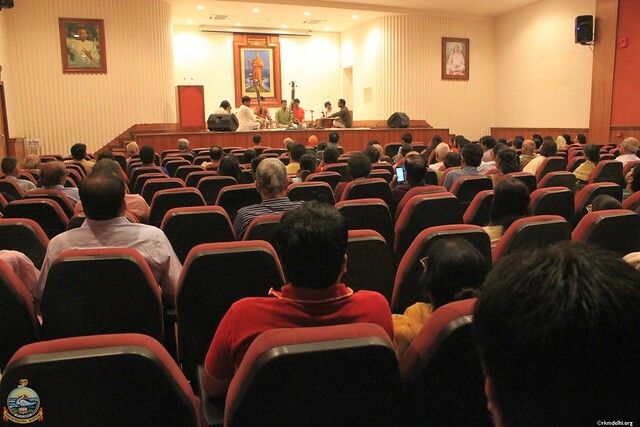 Sri Kshitij Mathur, a renowned singer, performed devotional songs at the Vivekananda Auditorium, Ramakrishna Mission, Delhi on 6th September 2015, as part of the JanmashtamiCelebrations at the Ashram. 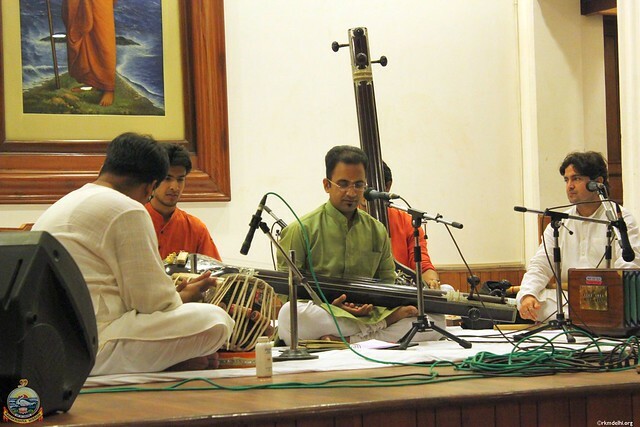 Shri Kshitij Mathur started learning Hindustani vocals since very tender age under the blessed tutelage of his Grandmother, Smt. 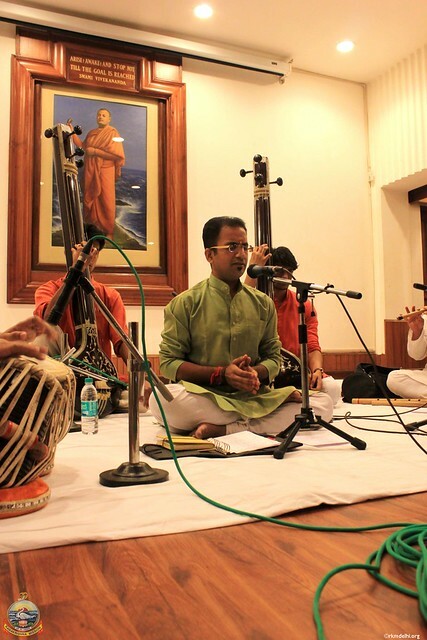 Saroj Mathur [disciple of Late Padmashri Pt. Vinaya Chandra Maudgalya (Bhai Ji) and Late Smt. Padma Devi (Bhabhi Ji)]. 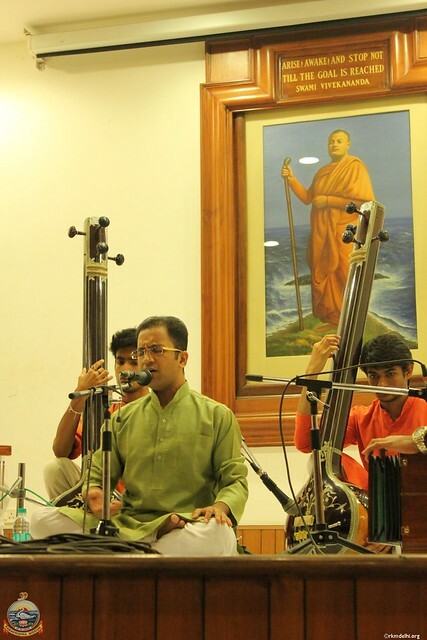 Since last 6 years he is teaching at Gandharva Mahavidyalaya, New Delhi and now pursuing his musical career by nurturing his vocal skills more under the able guidance Smt. Subhadra Desai as well as from Pt. Madhup Mudgal. 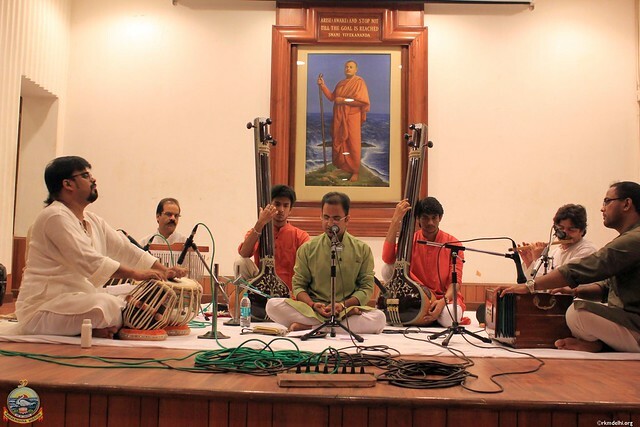 Sahitya Kala Parishad (Delhi Government) Scholarship for advance training in Hindustani Vocal Music. 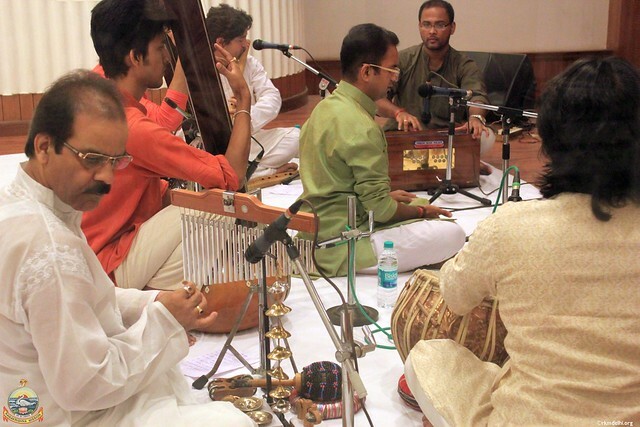 S.T.C (State Trading Corporation of India) Scholarship for Hindustani Vocals.